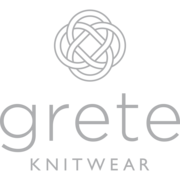 Founded by Paulina Dougherty ’18BUS, Grete Knitwear is a collection of high-quality, timeless knitwear that enhances the family lifestyle through celebrating family values, traditions, and heritage. Consumers are increasingly looking for brands that align with their values. Yet, the majority of retail clothing brands accessible to the average consumer are mass produced from faceless organizations that lack personal identity and warmth. Authenticity is hard to buy. Grete Knitwear provides high quality products with timeless designs, at reasonable prices. There is also a clear focus on celebrating family traditions and heritage – Grete Knitweara is a family business founded by three generations of women and supports small family businesses throughout its entire supply chain.